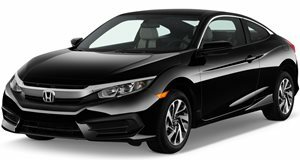 For many reasons, the new Honda Civic could be a pretty big hit for the company. Even before you factor in the buzz the Type-R will receive upon its release, the five-door hatchback’s positioning as a car that’ll work just as well in overseas territories as it does in Europe should make the car a nice little earner for the Honda Motor Company. However, just because Honda’s expecting the Civic hatchback to sell well doesn’t mean we’ll see the firm on the hunt for outright volume. Speaking with Jean-Marc Streng, General Manager at Honda Motor Europe, at the Paris Motor Show, we were told that getting a myriad model types into showrooms "isn’t something that Honda plans on doing." Though it does sound strange to hear such words being uttered by a senior official at a large mainstream carmaker, it does make sense. After all, building more car models means less money from the R&D piggy bank to go around, and there's always the chance these hypothetical new offerings could cannibalize sales off other Honda cars. 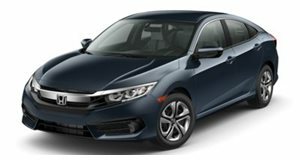 For Honda Europe, having a smaller range of well-developed core cars is a far superior strategy to commit to than, as Monsieur Streng stated, “chasing volume for the sake of it." Such a mindset is perhaps best demonstrated in the new Honda Civic hatchback. Along with "using 1/3 of its R&D budget on the development of the new Civic," Honda will also be turning its Swindon factory - which already makes the Civic and the CR-V - into a Civic-only plant by 2018. As a result, Honda's Swindon plant can focus on improving and refining the car's production process, which should in turn mean even more better-built Civics should roll off the production line. If Honda can keep this up with the rest of its range, we’ll hopefully find ourselves admiring a truly stellar range of Honda vehicles in the coming years.